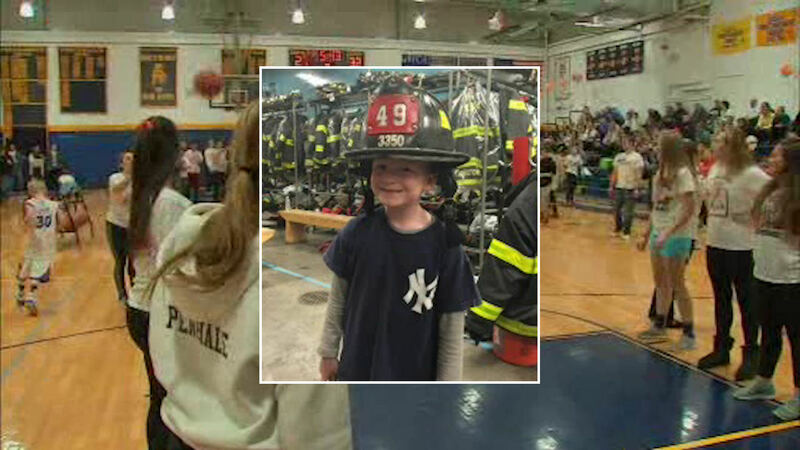 PEQUANNOCK TOWNSHIP, New Jersey (WABC) -- There was a basketball game at a New Jersey High School to raise money for a 7-year-old boy. Young Gavin Brady is fighting leukemia. His prognosis is good, but his family is having a hard time paying out-of-pocket medical expenses. His older brother is on the freshman basketball team at Pequannock Township High School. The girls' team came up with a great idea. During the boys' game against Montville Monday night, the girls held a half-court shot contest to raise money for the Brady family. The girls also handed out pledge sheets and ran a snack stand to raise even more money.